All of us go through times that are hard when we are beaten to sheets & we still have a long journey ahead. That's when we could either kill most of the dreams & charm of life to stay mediocre or learn how to deal with the tough times that have just passed us. I'm sure this bit from my experience will help you deal & deal it well. 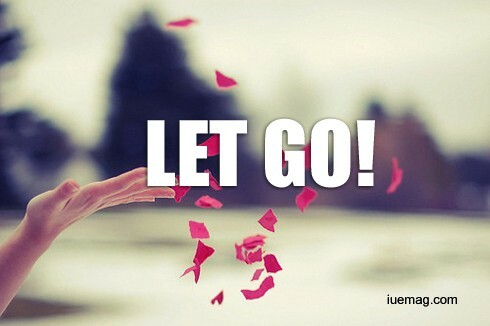 It is extremely important to let go of the past to move ahead. We are often stuck with some bad memories or a harsh past and that often restricts our ability to judge and act. There are enough testimonials of people who have not let their past govern their future and have emerged on top. Steve Jobs was fired from his own company, JK Rowling was rejected by innumerable publishing houses, Amitabh Bachchan went bankrupt, Oprah Winfrey went through child abuse... and there are so many more. An engine drives the coaches of the train and not the other way round. The past is like those coaches, so do not let them run you! If your condition today is because of the past, the future is going to be because of today. And that’s what I want to talk about- Make your TODAY special! The past is nothing but an experience- a good experience leaves us encouraged and upbeat, a bad experience leaves us with something to learn and improve upon. I know what I am asking you to do is easier said than done… But, that’s the only way out! And if we do make an effort, we can rid ourselves of its negative effect. I am not suggesting wiping out memories, but only keeping the positives from it. 1) When you recollect any memory that holds you back, try to rewind it just a little bit. You will realise you were actually excited and thrilled in that space. It could have been a relation, business or just about anything. If we need to retain something, why not retain the best part of the past! We are choosy when it comes to shopping, movies, restaurants… Why not be choosy in what we retain from the past! 2) We often hold someone or some incidence to blame for everything that happened... This gives rise to feelings of revenge, jealousy or hatred. These three feelings have never gotten people anywhere. So, FORGIVE! They might not say sorry, might not cross your path ever. Still, picture them in your mind and forgive… They are doing a far greater damage occupying space in your mind meant for bigger and happier things. So imagine them and say, “I FORGIVE YOU”... and SMILE! Trust me it’ll make you feel much better and very relaxed. 4) Keep yourself busy. Find work, pick a hobby, play some sport, read or start writing… Plan your day. Lesser the idle time, lesser the idle thoughts! 5) Surround yourself with happy and encouraging pictures. Wallpaper on your Laptop or phone, on your work desk, at home! I have been through these patches too, just that I’ve stopped calling them bad patches. I call the tough patches. AND that’s what I expect everyone to be- VERY TOUGH!! All the best! The Future is waiting for you!